I’m proud to say that my parents supported our Reform Jewish synagogue [Temple Beth Israel of Pomona]’s efforts to aid Vietnamese refugees (“boat people”) in the 1980s. A specific family was “adopted” and given material, personal and financial support all the way through the process. They did not convert to Judaism, they did not become members of the congregation. That was not the goal of the Jews. The goal was to do the right thing. At the time, as an adolescent, it was difficult for me to understand. As an adult, I see the nobleness/love of the effort. CAVE IN THE SNOW: a well-done 2002 documentary about the remarkable Tibetan Buddhist nun Jetsunma Tenzin Palmo (formerly Diane Perry, of England), based on journalist Vicki Mackenzie’s book of the same name. Well-done 1995 documentary on the fascinating non-dual Bombay teacher Nisargadatta Maharaj, best known for the book I Am That. My dhamma teacher Ruth Denison had a massive stroke sometime on the night of Feb 15/16. She is 92 years old and has been in declining health for the last couple of years. On Feb 17 she returned from hospital to her home up the road from me here in northern Joshua Tree. She is under hospice care and her directive wishes are being followed. No food, no IV, etc etc. A group of her students has been working with professionals to give her 24/7 care. It is now the morning of Feb 25. 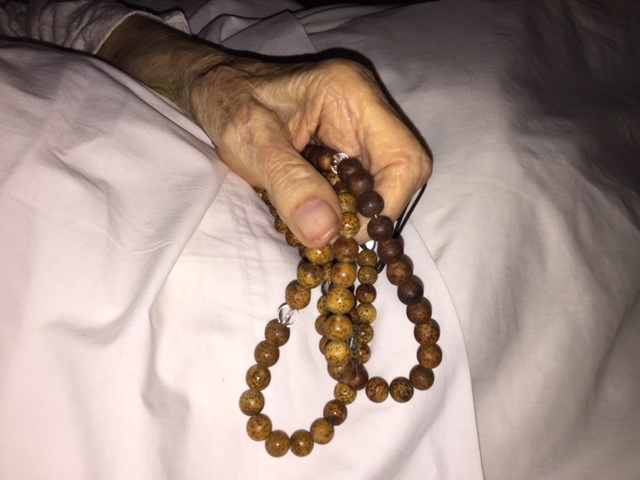 Many of us have spent hours at Ruth’s bedside, creating an atmosphere of profound, loving compassion unlike any I have ever experienced. It is hard to know how conscious she is, as she cannot speak, but nonetheless she does seem to be practicing. One of Ruth’s senior students, the teacher Robert Beatty, has been present since the 17th and has been posting bulletins to the sangha (community) at large about the situation. They are available at the link. THE SHIP’S CAT: this subject needs a coffetable book and/or doc film, stat. This is photograph D 20280 from the collections of the Imperial War Museums (collection no. 4700-27). Licensed under Public Domain via Wikimedia Commons. 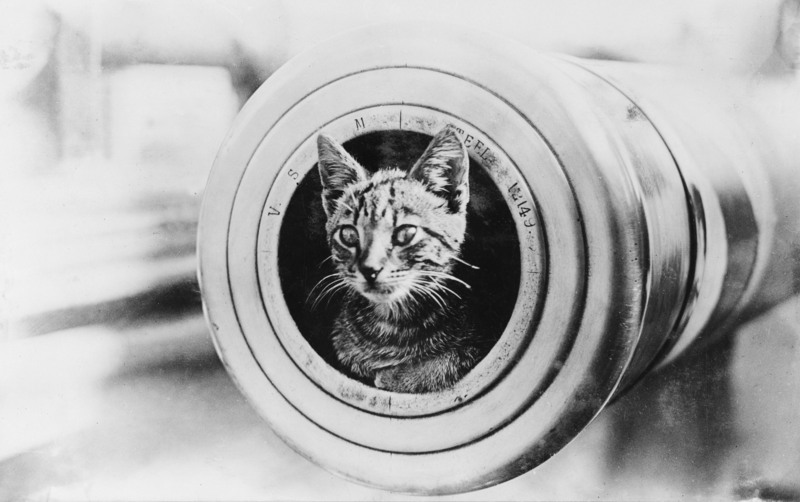 Ship’s cat on HMAS Encounter during World War I. This image is available from the Collection Database of the Australian War Memorial under the ID Number: 304910. 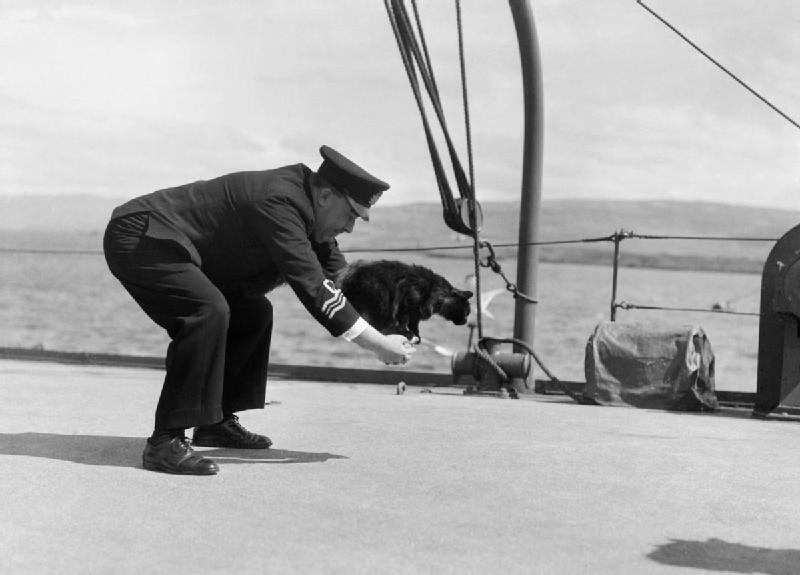 Donor Naval Historical Collection originally posted to Flickr as A cat on HMAS Encounter. Licensed under Public Domain via Wikimedia Commons. The DESERT ORACLE is a pocket-sized field guide to the fascinating American deserts: weird tales, ghost towns, wonderfully bizarre animals and plants, mysteries and folklore, national and state parks, slickrock arches, legends of lost mines and ships on the sand dunes, beloved authors and artists, and plenty of oddball desert characters from the past and the present. Printed in striking black-and-white with a brilliant cardstock cover, the DESERT ORACLE is your companion at a roadside diner, around a campfire, or in your tent or cabin as the wind and the coyotes howl outside at night. It’s for national-park adventurers and adventurous locals, film buffs and ghost hunters, lovers of both natural history and human history—the ORACLE is a pocket reader for all kinds of wanderers on saguaro highways and sagebrush trails. Mark Hollis of Talk Talk discusses his entire recording career on Danish TV in 1998. After this, he was gone. Arthur column BULL TONGUE returns as a quarterly pub edited by BYRON COLEY! A Quarterly Journal of Post-Rock Cultural Pluralism. In this issue: Todd Abramson, Steve Albini, Alan Bishop, Bree, Rej T. Broth, Joe Carducci, Lisa Carver, Benoit Chaput, Sharon Cheslow, Byron Coley, Karen Constance, Nigel Cross, Chris D, Irene Dogmatic, Lili Dwight, Ray Farrell, Andrea Feldman, Tom Givan Tom Greenwood, Mats Gustafsson, Angela Jaeger, Elaine Kahn, Ira Kaplan, Maria Kozic, Matt Krefting, Ted Lee, Donna Lethal, Owen Maercks, Marc Masters, Hisham Mayet, Richard Meltzer, Thurston Moore, Dylan Nyoukis, Gary Panter, Tony Rettman, Bruce Russell, Suzy Rust, Andy Schwartz, Brian Turner, Naomi Yang Ω. 50 pages, black & white 8.5″ x 11″.